Coats seem to get all the love (or at least a guaranteed place to hang out) when it comes to storing your winter gear. Well, after one too many days of forgetting my gloves, hat or scarf, or having a mitten with a missing partner, I knew I had to find a solution. 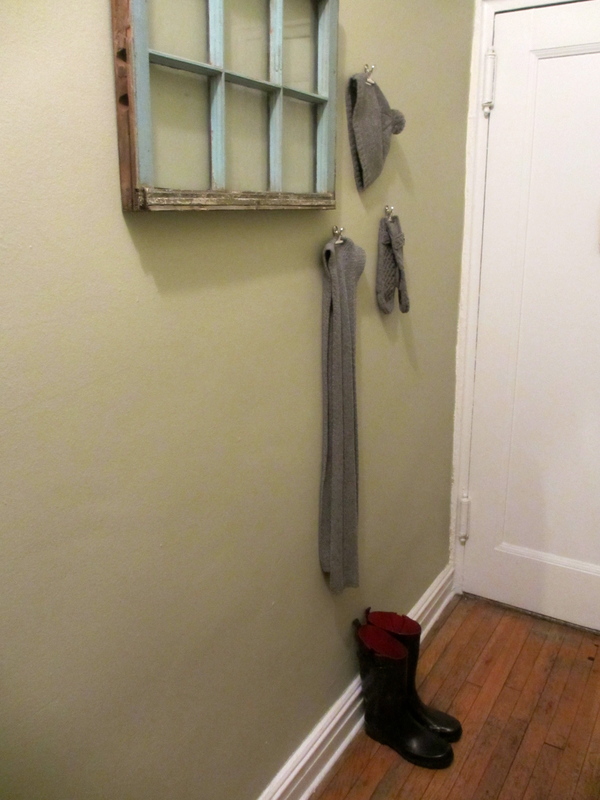 Our entry hallway is too narrow for a cute basket or bin and while hooks could hold a scarf or hat, my mittens were still getting abused by being stuffed inside jacket pockets. While walking through my local hardware store I discovered suction cup clips and decided with a few simple tweaks, I could transform them into a simple solution. Not bad, right? 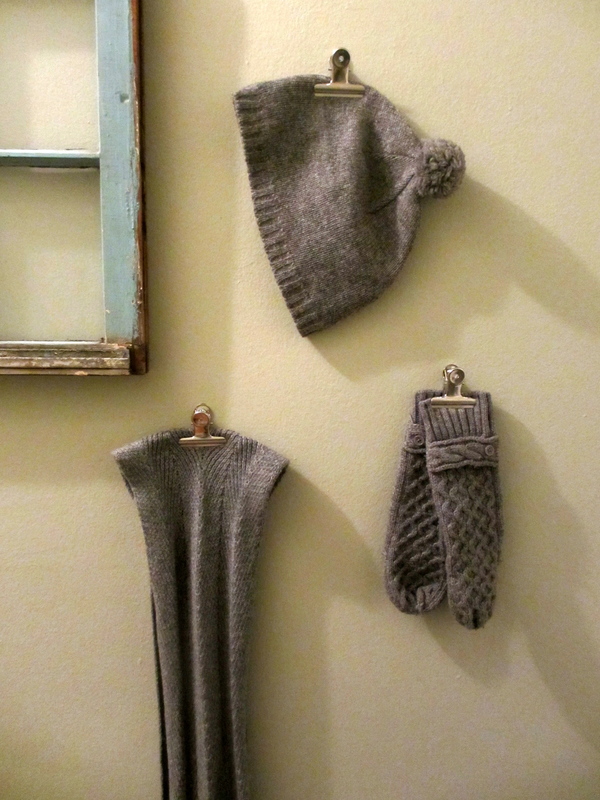 We enjoyed this simple fix so much, that we have now have six of them hanging in our front hallway alongside our coat hooks. The clips have been super handy, easy to use and since we installed them, no mittens have gone missing! And, after a recent morning of sledding we discovered another benefit: It was a great place to hang our wet gear to dry out. In the summer, I plan to keep a floppy hat here or even use it as a place to post reminder notes. Use a screwdriver to separate the suction cup from the clip. Next, drill a hole into the wall where you would like the clip to hang. Lightly tap the anchor into the hole with a hammer then line the hole in the top of the clip with the anchor, insert the screw and twist until tight. SWWU Tip 1: I think it is important to anchor this into your wall. The clips are likely to get a lot of use and you don’t want them to slide around or easily slip out of the wall. SWWU Tip 2: It might be difficult to screw your clip straight into the wall at a 90 degree angle. If you can’t easily fit your screw driver between the two tabs of the clip, plan to do everything (drill your hole, sink your anchor and screw it in) at a 45 degree angle (downward). This entry was posted in At Home and tagged @SWWUblog, at home, cheap trick, clips, door storage, home decor, home improvement, mitten manager, organization, unique hook, winter gear by Something We Whipped Up. Bookmark the permalink.